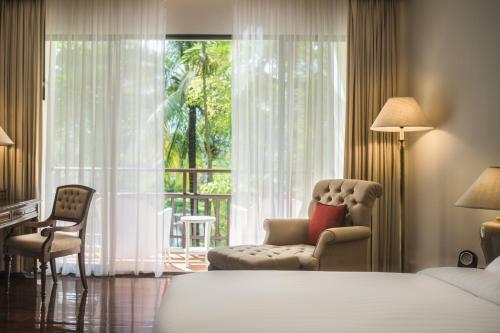 Sofitel Angkor Phokeethra Golf & Spa Resort is set among tranquil landscaped gardens on the tree-lined Charles de Gaulle Avenue. 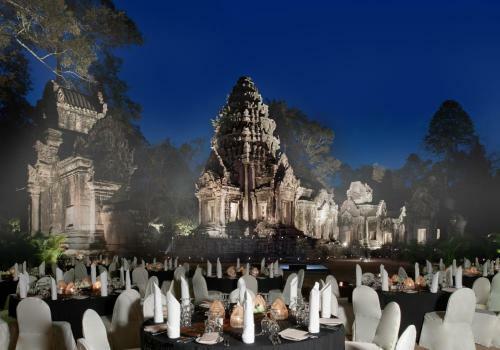 It is just 10 minutes’ drive to Angkor Wat. 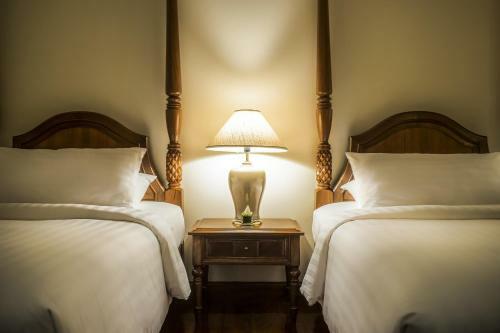 Rooms enjoy a blend of French and Khmer design and decor. 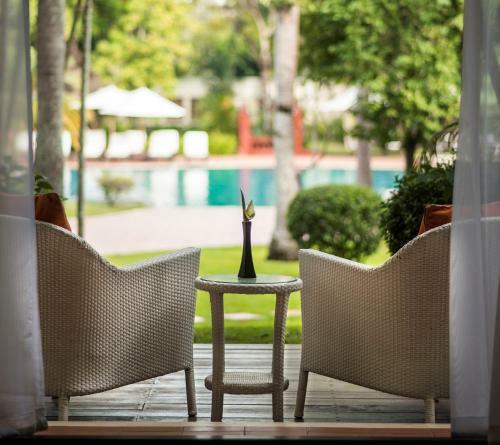 Each is equipped with a tea and coffee maker, satellite TV and air conditioning. Bathrooms have a bathtub, toiletries and bathrobes. Room service is available 24 hours a day. 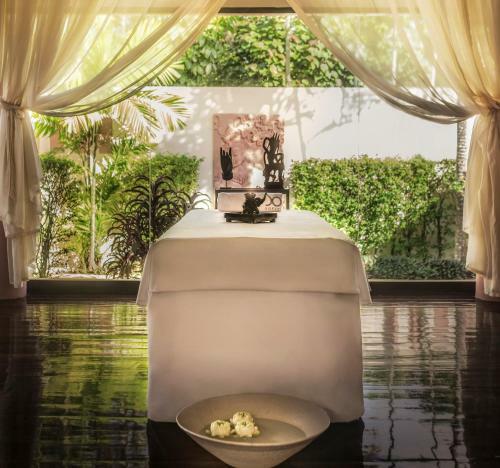 Sofitel Angkor Phokeethra Golf & Spa Resort offers guests a wide variety of dining options, including French-Khmer fusion and international cuisines. The outdoor pool with swim-up bar is an ideal place for relaxing. 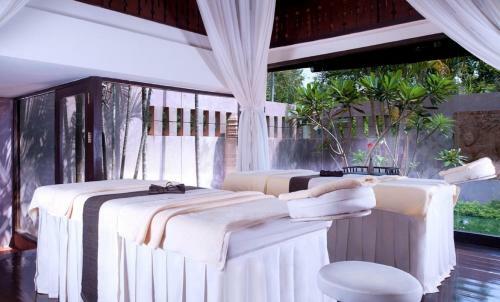 There is an indulgent spa centre with a hot tub and massage treatments. It also has an 18-hole Country Golf Club. 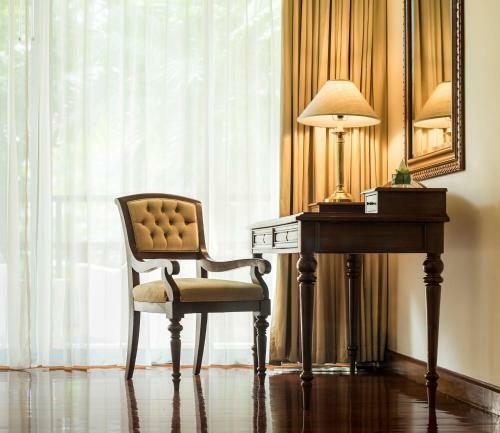 Sofitel Angkor Phokeethra Golf & Spa Resort is located less than 15 minutes’ drive to Siem Reap’s bustling centre, Pub Street and the Old French Quarter. The Siem Reap International Airport is also located less than 20 minutes’ drive away.